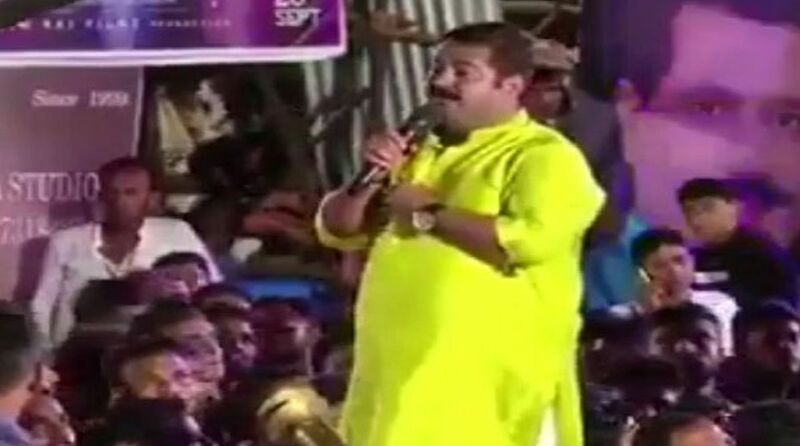 At a Dahi Handi event, the BJP MLA Ram Kadam on Monday had bragged to young men that he would “kidnap” a girl they liked, if she rejected their proposal. The controversy regarding BJP MLA Ram Kadam’s ‘kidnap women’ remark refuses to die down. In a shocking remark, Congress leader and former Maharashtra minister Subodh Saoji has announced a reward of Rs 5 lakh to anyone who chops off Kadam’s tongue. Kadam has courted controversy after saying at a Dahi Handi event he would help the spurned lovers by abducting for them the women they loved. He has since apologised for his remark. “As a lawmaker, it doesn’t suit Ram Kadam to make such embarrassing remarks. My appeal to the citizens of Maharashtra is – anyone who chops off the BJP MLA’s tongue will be rewarded with Rs five lakh,” ANI quoted Saoji as saying. At a Dahi Handi event in his Ghatkopar assembly constituency, the BJP MLA on Monday night bragged to young men that he would “kidnap” a girl they liked, if she rejected their proposal. Later, he expressed regret over his remarks. On Thursday, he was issued a notice from the Maharashtra State Commission for Women (MSCW) who took suo motu cognisance of the legislator’s remarks. “We have issued a notice to Kadam and asked him to present his side within a period of eight days,” MSCW Chairperson Vijaya Rahatkar had said. NCP MLA Jitendra Awhad had shared a video on social networking site on Twitter in which Kadam could be seen making the controversial remarks. “You can call me.. if you call me saying I have proposed a girl and need your help.. I will definitely help you.. I will call your parents and ask them…If they say they like that girl then… I will kidnap that girl and give her to you.. now take my number,” Kadam said in the video. “I only repeated a sentence made by one of the persons standing in the crowd… It was not my sentence. The clip which has gone viral is only of 40 seconds. However, later I had said mothers, sisters and daughters in all households are ‘Lakshmi’ who need to be respected,” he said late Tuesday. “I had no intentions to hurt anybody’s sentiments. But if I have done so, I regret it. Certain opponents are behind this misunderstanding,” Kadam said in a Tuesday night tweet. Playing down what Kadam had said, BJP state spokesperson Madhav Bhandari asserted that the matter was over as the MLA has expressed regret over it.